Sauce loves Kate Sylvester. To add to it – Kiekie Stanner of M.A.C Cosmetic's pop coloured makeup looks, galactic silver dresses, midi silhouettes, sculpted dresses and an edit of practical IT bags...and we are smitten! Kate Sylvester's AW 18 show 'Electric Dreams' paid homage to the neo-noir classic, Blade Runner. We love the fact that Kate Sylvester always has a muse in mind while designing, and you can see Darly Hannah's charactor Pris coming through the beauty looks and some of the pieces from the collection. 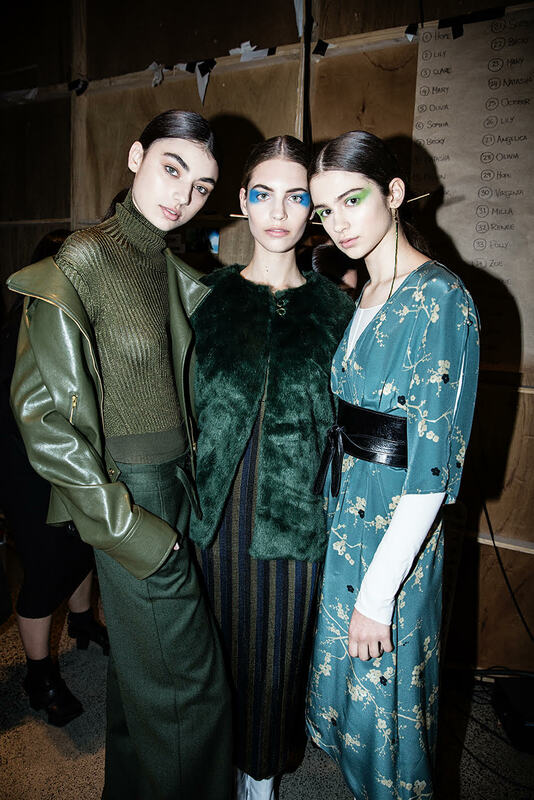 Collection highlight: a two-piece bottle green trench and pant combo that promises to be one of the most photographed look of the season. SAUCE, for the record, got there first. PS : We suggest you start saving now for the collections February 2018 drop.